You are here: Home / Hashes & Events / Pinelake #1472-- Boxing Day Hash! Pinelake #1472-- Boxing Day Hash! Special Instrux: No dogs...sorry :(! "December 26 has a little something for everyone! 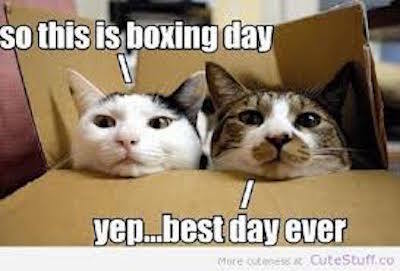 Boxing Day is a holiday traditionally celebrated the day following Christmas Day, when servants and tradesmen would receive gifts, known as a 'Christmas box', from their bosses or employers. 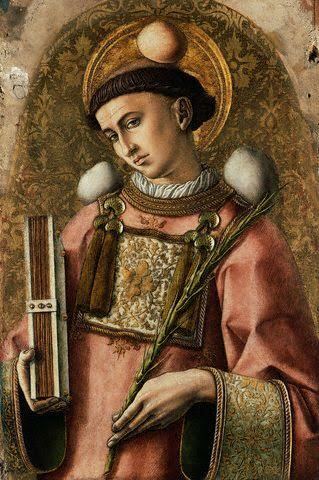 St. Stephen's Day, or the Feast of St. Stephen, is a Christian saint's day to commemorate Saint Stephen, the first Christian martyr. Here we see a pouty Stephen modeling some lovely stones, which were used to kill him. So fetch." Bring usual hashing gear: dry shoes and socks and clothes, a few of your closest friends, a camp chair, a hearty thirst for good beer, a healthy appetite for orange food, a sense of humor and a song for circle. Bring water if you're still hurting from spending Christmas with your "loved ones!" Look for hashers trying to figure out what to do on Boxing Day. We need hares for the following dates-- ALL OF 2016:Email Star Whore at terrinh73(at)gmail(dot)com to sign up!! !